Carats and clarity are two of the major factors jewelers use to determine a diamond’s true value. Color also plays an important role in figuring out the quality of diamond jewelry. The jewelers near you at Norman Hege Jewelers in Rock Hill, SC want to show you how to look for color in diamond rings and diamond earrings. What do jewelers mean when they talk about a diamond’s color? When you think about the color of a diamond, what comes to mind? Do diamonds even have colors? As it turns out, these precious gemstones come in an array of colors and shades. When jewelers talk about the color of a diamond, they’re referring to how colorless a diamond is. The less color a diamond has, the higher its value. 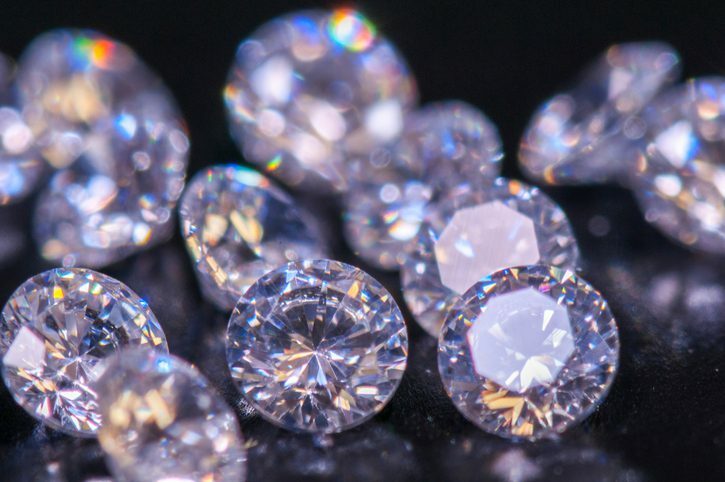 Why are colorless diamonds so valuable? Just like with a diamond’s clarity and cut, a diamond’s value as it relates to color all comes down to light. Diamonds that are completely colorless can show off the greatest amount of light. The more light a diamond gives off, the higher its value. How do you find out the color of your diamond? A diamond’s color is determined by the Gemological Institute of America’s color scale. This scale assigns a certain grade to a diamond. The scale starts with the letter D – meaning the diamond is completely colorless – and runs to Z – meaning the diamond has a yellow or warmer color. If you’re in the market for high-quality diamond jewelry, look no further than Norman Hege Jewelers. Our jewelers near you have a great selection of dazzling diamond rings, necklaces, earrings, and much more. Let us help you find the right diamond jewelry that not only looks good but will hold its value for generations to come.